Sridevi with Aravind Swami in the Malayalam film Deva Raagam (1996). The movie was OK, but the music was sensational! 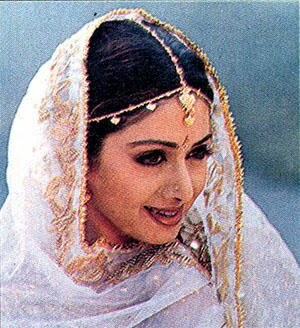 Sridevi was flawless. 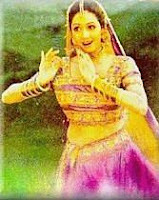 There were some rumblings that she looked older than her co-star in the film... but all we remember was how absolutely stunning Sri looked in her designer ethnic wear. Tubby Aravind Swamy was, truth be told, no match for Sridevi's superstar aura. 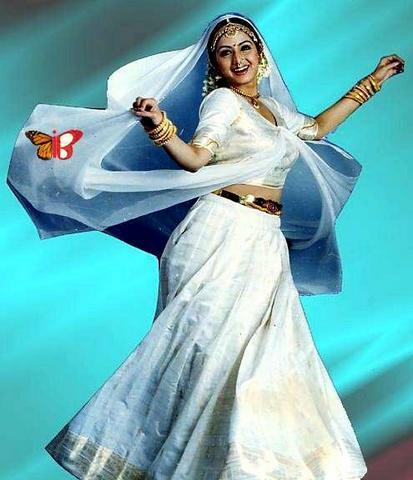 Though he was riding the fame of Roja, he didn't measure up to Sridevi in any way or form. 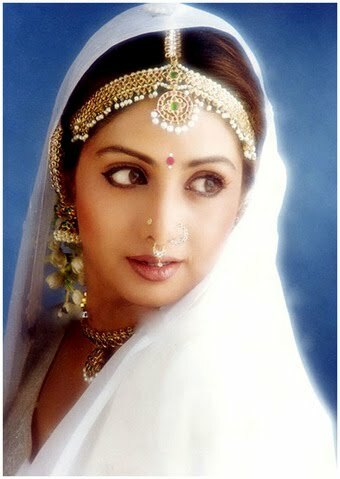 He was only seven years younger than Sridevi but oddly enough, looked older than slim-n-trim Sri. Or so we believe. The songs of Deva Ragam are absolutely brilliant. Check out the title song: Deva Ragam title Song. Or any other number from this film on youtube. Even if you don't understand the language, the grace and beauty of Sri is undeniable. Due to Sridevi's overwhelming popularity, the film was released in Tamil and Telugu too. Was a disappointment in the box-office, despite stellar performances by the cast and crew. Though the film faded in theatres quickly, its songs have lived on in television and audio sales. 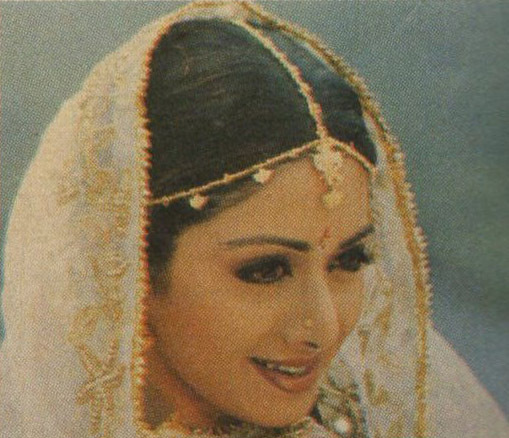 "The brightest spot of the entire film was definitely Sridevi, as the beautiful Lakshmi. This movie may not be the most astoundingly original story out there, or the happiest ending in the world, but the acting gives it some real meat. 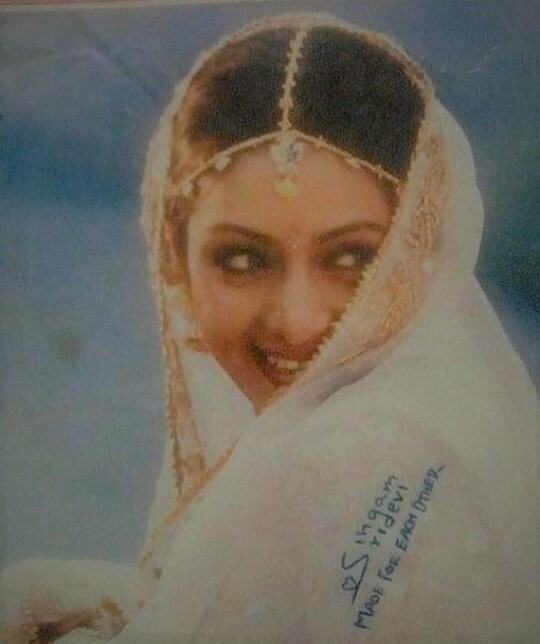 Particularly Sridevi in her transition from the wide-eyed, flirtatious young maiden to the hard-worn, devastated mother, makes this movie worth watching. This is perhaps not Arvind Swamy's strongest work, especially considering Roja and Bombay. His role is more subdued, especially compared to Sridevi's powerhouse performance. Then again, she has that way of stealing the show, doesn't she?" I don't understand why this movie tanked at box office. The story was good, Music was beautiful and acting a sheer masterpiece. Sreedevi Garu is beyond beauty and words in this movie. Devaragam is SREEragam in true sense. The 'Daavani' scene, 'Pachhai Kumkumum ', the scene where Lakshmi is literally elevated from ground listening to her praise and the climax scene are my all time favorite.